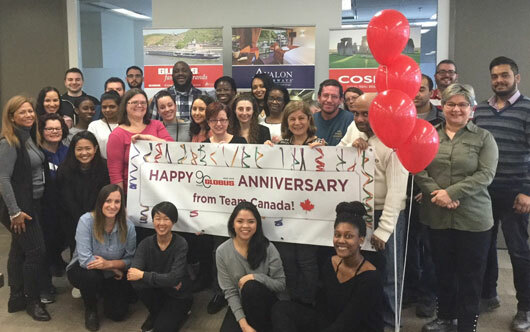 Members of the Globus family of brands’ Toronto team got together to celebrate a big birthday recently – the company’s 90th birthday. It was in 1928 that a a young Antonio Mantegazza purchased a rowboat to transport visitors across Lake Lugano, Switzerland, describing the local sights along the way. Today, the Globus family of brands — escorted tour brands Globus and Cosmos, Monograms for independent travellers, and river cruise company Avalon Waterways – is still headquartered in Switzerland and offers over 500 itineraries around the world.